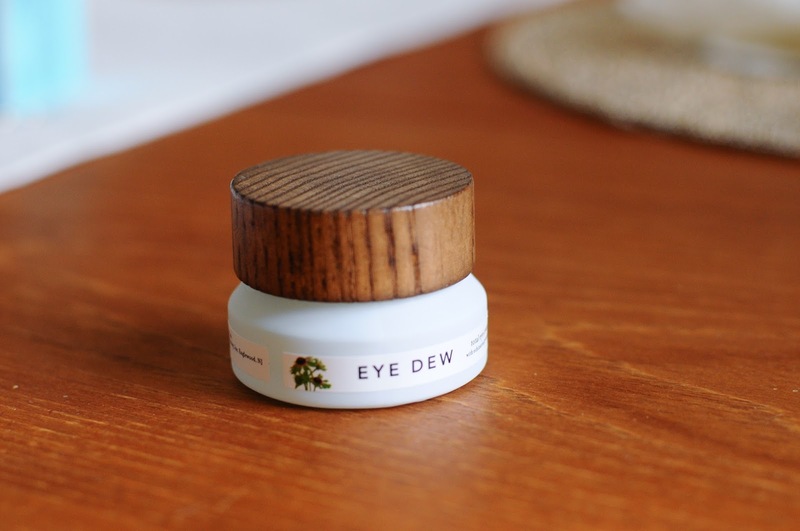 Let's talk about eye creams..... | The Dove Edit. 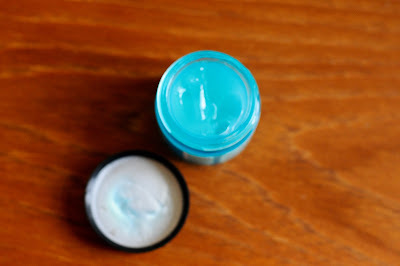 I decided to dedicate an entire post on eye creams because I feel like it's the one product that doesn't seem to get much hype. And why is that?! We know that using an eye cream can do amazing things for our under eyes. So why is it that it's the one product people feel so indecisive over? They either use it but aren't married to the product or can't find one that blows them away so they switch all the time, or there's the group of people that don't use one at all, they feel it's not really necessary in their skincare routine. I'm going to try and convince you otherwise. Wish me luck. Let's talk about why they are such an important step in your skincare routine. 1. Your under eye area is usually where the first signs of aging begin to appear on our faces. Dare i say crows feet, fine lines and sagging?! These are the swear words of the skincare world. Showing signs of aging is one of a woman's biggest fear. I feel like even at a young age we watch either our mom's or our grandma's putting on the face cream in the morning or at night. It's engrained in us to start using anti-aging products early on. Have you ever heard "It's never too soon to start using the Anti-Aging creams" It's a scary thought, but it's true. Woman in their 20's are now beginning to use anti-aging products. It just goes to show that we don't want to grow old, or at least show it on our faces. 2. The skin under your eyes is THE most delicate skin on your face. It is very thin which is another reason it's the first place woman show signs of aging. So if you're not taking care of it and keeping it hydrated by drinking plenty of water and using a product that's nice and moisturizing, it will show signs faster. 3. Which brings me to the most important point. DRINK YOUR WATER!!! I cannot begin to tell you how important being hydrated is in your skins condition. It can make such a difference if your body is properly hydrated. 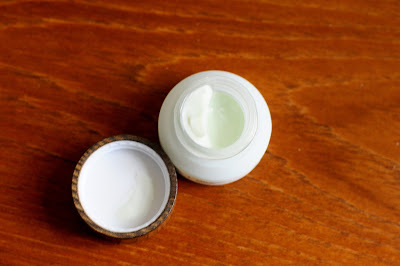 FACT: Not all eye creams are created equally. Going into Sephora or Ulta can be super intimidating when hunting for new skincare in general, but trying to find your perfect eye cream is worse. Do you get one that's for firming, de-puffing, brightening, moisturizing, hydrating, replenishing, smoothing, cooling, etc. OR do you need one of night time, day time, or both? Do you want a gel formula or a cream? The possibilities feel endless when trying to pick out the one for you and your needs. I'll admit that I hate shopping for a new eye cream for all of those reasons. It's confusing. I usually research and read loads of reviews before I commit to making the purchase. But I will say this, I truly feel very passionate about good skincare and good ingredients that go into them. If you have good skin then makeup becomes less important. Instead of covering up you'll want to highlight to bring out the beauty. You only have one face, you cannot replace it so that's why it's so important to take care of it and invest in some awesome skincare products. They are worth the money! Here are a couple new products I've added into my routine. 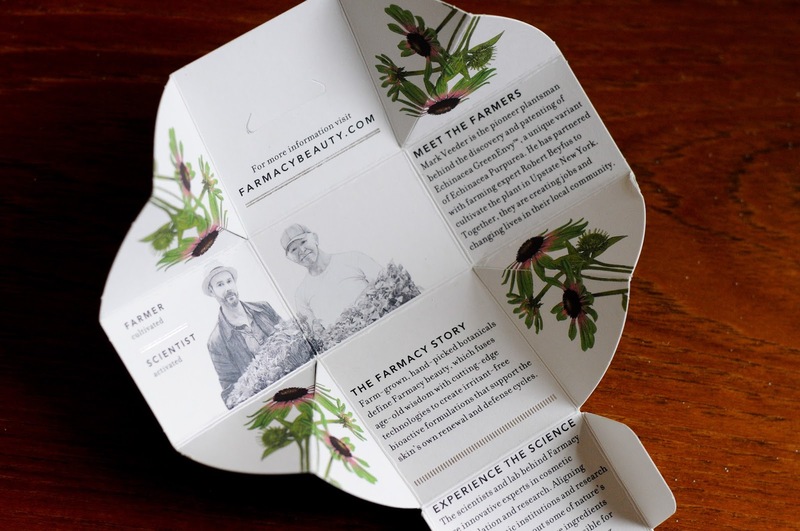 The first one we have is by a brand called Farmacy. I stumbled on this brand while browsing the Sephora website and I'll admit that I was drawn to the packaging. I am such a sucker for amazing branding. And Farmacy does not disappoint. Not only is the packing creative and beautiful, but the product inside is equally as beautiful. Here's what Sephora says about this eye cream. "Eye Dew aids in reducing the appearance of dark circles and brightens the under-eye area. It also moisturizes and helps firm to restore the appearance of elasticity to the skin around the eyes. The formula contains Echinacea GreenEnvy™, a unique, patent-protected variant of echinacea purpurea that contains the highest known concentration of cichoric acid, which helps protect the skin by supporting natural collagen. Naturally high in vitamins A, D, E and F, baobab fruit oil supports cell membranes and provides antioxidant properties to help fight signs of aging. Ribose supports natural cellular respiration, increasing the appearance of skin elasticity, smoothed wrinkles, and enhanced complexion. Strelitzia nicolai seed aril extract helps illuminate the complexion while also minimizing dark circles and puffiness under the eyes. Rose hip extract combats signs of aging with antioxidants and vitamins, and chamomile and calendula extracts reduce redness and soothe the skin. The result is soothed, smoother-looking skin and more even pigmentation around the eye area for a more rested and youthful appearance. 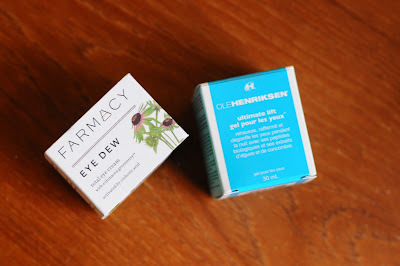 The next one is a night cream and is by one of my favorite skincare brands, Ole Henriksen. I already use their Sheer Transformation moisturizer and LOVE it. So i knew this would be a good go-to. This is their Ultimate Lift Eye Gel, the night version. And it's a really unique product because it's a night cream that's a gel formula. Most night time eye creams are a thicker lotion formula. Also, this product smells so amazing. It's very fresh smelling. "This new and improved formulation features 30 percent more peptides, 600 percent more botanicals, and an enhanced silky texture. Wake up to younger-looking, refreshed eyes. 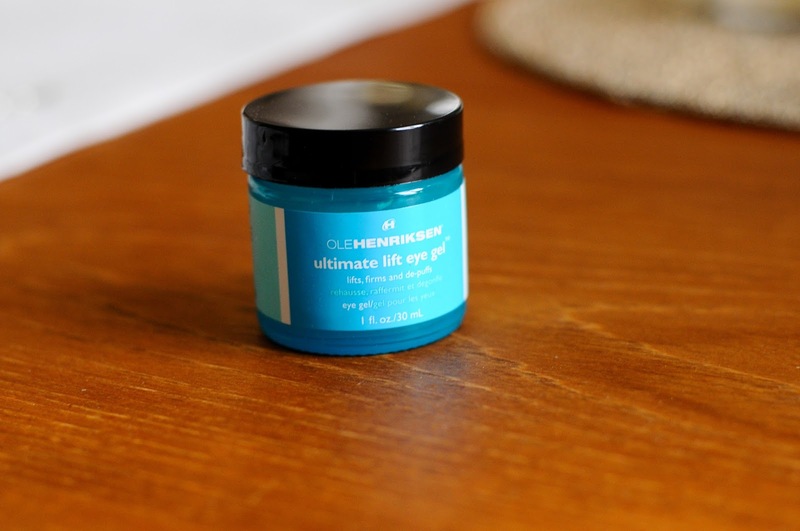 The cooling eye gel instantly soothes and de-puffs the undereye area with cucumber and algae extracts while Ole Henriksen’s ultimate firming complex—a proprietary blend of bio-peptides and hyaluronic acid—helps to lift, firm, and diminish the appearance of crow’s feet and wrinkles. The unique formula works around the entire eye area, from the undereye to the eye lid and upper browbone for unparalleled results. " Skincare doesn't have to be a scary thing just pick products that will work for your specific skin type. Or if you're really stumped just ask on of the girls in Sephora, they're there to help you and make your shopping experience less stressful. If you're younger than look for products that are lightweight and hydrating, something that you can wear during the day that will look great under make up or can be worn alone. If you're older then look for one that's thicker in consistency, that uses words like anti-aging, lifting, firming and moisturizing. 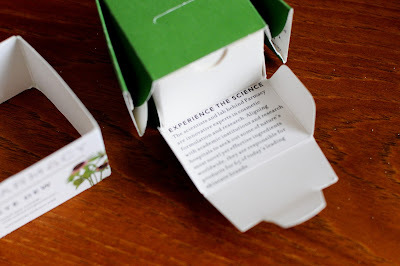 To be honest, I'd like to hear what You think about your experience with the product, instead of what Sephora says about it. I'm on Sephora trying to decide to buy it and looking for independent reviews and I got to see what the product looked like on your review, but nothing else. Wrinkles are brought about by ultra violet light and personal lifestyle habits like smoking. Smoking should be avoided at all cost. A letter to my husband on our anniversary.